Homemade Hibiscus Juice – the Perfect Start to Summer! During my trip to Egypt back in April, I discovered something delicious – hibiscus juice! As hibiscus is a flower, and not from the tea plant, I’ve labelled it as juice instead of iced tea. 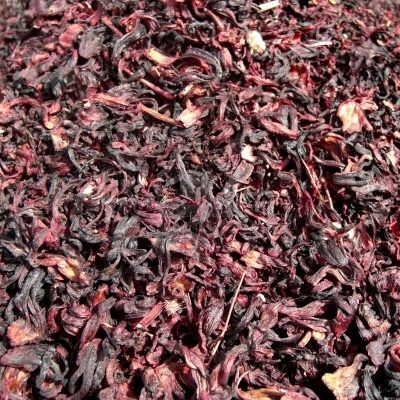 I had it in both iced and hot form, and loved it, and couldn’t resist picking up a bag (or two) of dried hibiscus while on my travels. The past weekend in Toronto got hot, so I decided it was time to make my own iced hibiscus, and it turned out great! How did I make it? I added a tsp of dried hibiscus for each 8oz of hot water. I let it soak for about 15 minutes, at which point I took the hibiscus out of the water and mixed in some sugar to sweeten the taste. After, I added ice and put it in the fridge to cool. It had a delicious tart flavour, and also tasted great with a little squeeze of lemon. The good news? 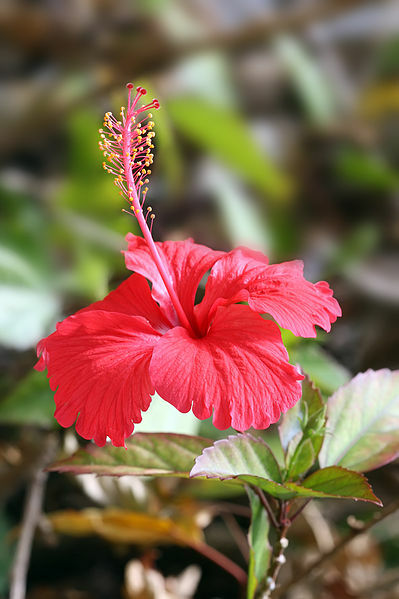 Hibiscus is SUPER healthy for you! Drinking hibiscus herbal tea aids in lowering high blood pressure and also reduces high cholesterol. It is also beneficial from those suffering from type 2 diabetes, and it is rich in Vitamin C.
Try some today to help cool down the summer heat! « Bulk Barn Sells Loose Tea!